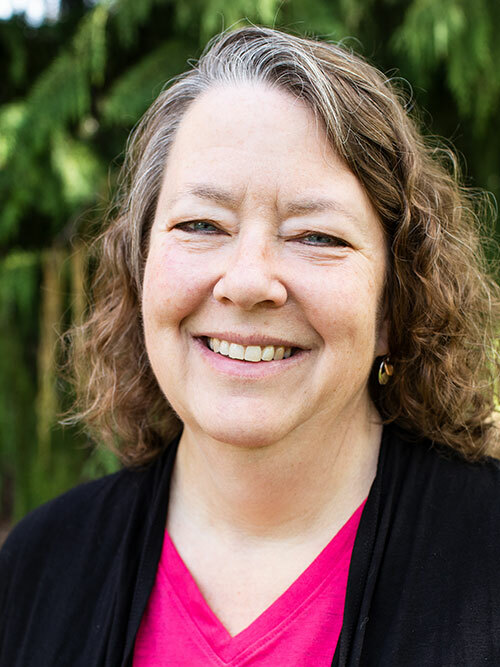 Sue O'Donnell has taught at George Fox since 2001, when she completed a PhD in developmental psychology at the Institute of Child Development, University of Minnesota-Twin Cities. She loves teaching at George Fox and hopes to help students in their quest to "Be Known"! She particularly appreciates the exchange of ideas that goes on here, as we journey together in our discovery of creation. Studying human development has allowed Sue a glimpse into the complexity and beauty of the greatest creation – the one that God said was "very good." While we still have much to discover, this discipline reminds her over and over of the tenderness and care with which we are made. She hopes to share these glimpses with others. Sue is here to help you succeed - just stop by her office to chat (and maybe you'll score some chocolate - who knows?). My primary research interests are in father-child relationships and psychosocial development, especially religious development. I have also looked at young children’s development of motivation and adolescent autonomy. However my favorite research projects are the ones done with students as they discover their own interests and passions. I was married to Sam for 25 wonderful years, and have kids Mike, David, and Liz. In January of 2013, I became a grandma for the first time - just ask me about my beautiful, smart, and strong granddaughter! I love cats, photography, BBQs with students, and knitting. More questions? Just ask!